Located between Tugun and Kirra, is the often unmentioned, and uncelebrated, suburb of Bilinga. The suburb features a mix of local residences and holiday apartments. 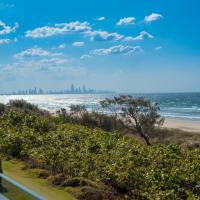 The main feature of the suburb is the uninterrupted beach that runs from Currumbin to Kirra and on to Coolangatta. 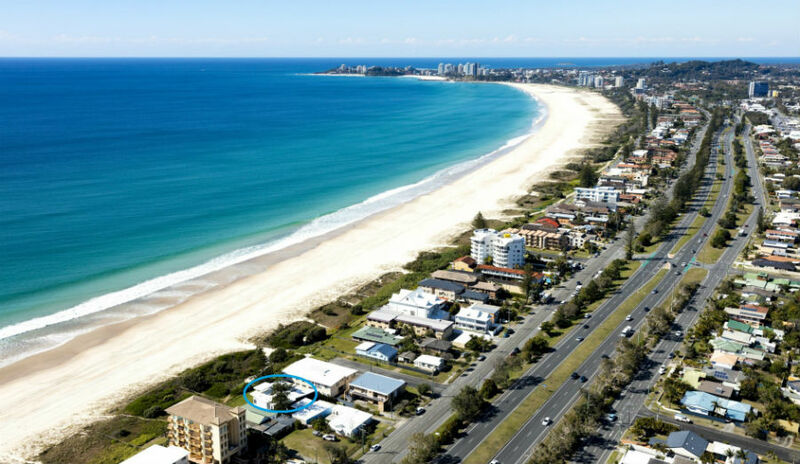 Bilinga has become popular again with holidaymakers and property investors due to the completion of the Tugun bypass reducing traffic through the suburb and reducing the road noise that came from the highway. Of course, the Gold Coast Airport is right across the highway from Bilinga beach so there is still the sound of jets landing and taking off. The airport does have a curfew at 11pm and most people, including visitors, don’t find the noise that annoying with it being a low volume airport. 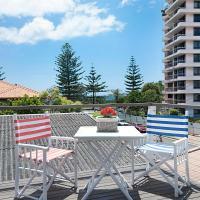 Many holiday accommodation units have direct access to the beach and feature wonderful views through to Surfers Paradise and to Coolangatta looking south. If you are happy with a little noise from the airport and are prepared to travel, by car or public transport, you will more than likely find a great deal on accommodation and a beautiful quiet beach to enjoy. Tower 7 Bilinga SLSC – near Matters St. Please check the Beachsafe website for conditions and Lifeguard hours. Located near Gold Coast Airport, this refurbished boutique motel offers free Wi-Fi, 24-hour check-in and a free airport shuttle. The Bilinga Beach is only 100 m away. Bilinga Beach Motel provides absolute beachfront motel with direct beach access, conveniently located just a 3-minute drive from the Gold Coast Airport. With Bilinga being quite small there isn’t actually a lot going on apart from what is at and around the airport. Check out nearby Tugun, Kirra, and Coolangatta for more options on the dining front.